The Church at Hose, dedicated to St Michael & All Angels, is part of the Belvoir Family of Churches, under the care of the Belvoir Team Benefice Clergy. The day-to-day running of the Church is looked after by the Parochial Church Council (PCC). 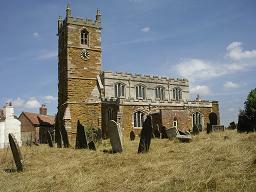 Regular services are held, in sequence with the other churches in the Benefice. The programme of services is posted on the Church noticeboard, on-line at Belvoir Angel, managed by the Benefice. Other services for families and the village school are held periodically. Social events are also organised to raise money for improvements to the church. The old graveyard adjacent to the Church is maintained by the Parish Council, whereas the active graveyard (beside the Park) is mown by volunteers from the village: new mowers are always welcome and should contact the PCC.